So you’ve got morning sickness. That’s just part of pregnancy, right? Maybe not with acupuncture and Chinese herbs. This is huge news for anyone who has experienced morning sickness and for women who are trying to get pregnant. I once had a patient with severe morning sickness. She couldn’t get through a single day without feeling nauseous and vomiting. The danger that I saw was that she wasn’t always able to keep down her food, precious nutrients that would have helped her baby to grow stronger. I had to do something. What I recommended for her were sever focused acupuncture sessions to pinpoint why her body was out of balance. I also recommended that she supplement her diet with ginger. Here’s why I recommended that she do this. According to modern research, morning sickness—characterized by nausea and vomiting during pregnancy—is treatable with Traditional Chinese medicine. Research form the University of Heidelberg in Germany demonstrates that acupuncture concentrated at point P6, found in the forearm, can alleviate the symptoms of morning sickness. Investigating thousands of participants, researchers found that manual and electro-acupuncture showed promise for relieving pregnant women of morning sickness. Their results moved them to recommend that more research be done on the subject. For women who are trying to get pregnant, this is a clear sign that acupuncture can help them have a comfortable pregnancy so they can enjoy this wonderful part of life. In Traditional Chinese Medicine, certain ingestible substances are said to have an effect on health. During morning sickness, the patient will want to reduce the feeling of nausea that leads to vomiting repeatedly throughout the day. Ginger, known as Sheng Jiang in TCM, shows promise in reducing this sickly feeling. 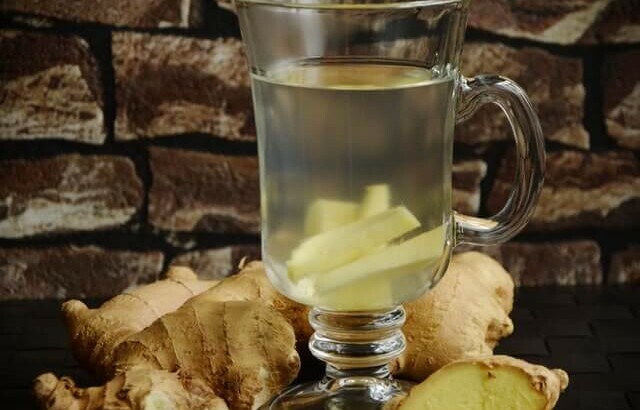 There are many ways to take ginger for morning sickness relief. You can grate fresh ginger into hot water to make a kind of tea. If you prefer not to taste the ginger, capsules are also available for purchase. You can also find ginger in a sugar syrup base at most health food stores. Finally, crystalized ginger can also be efficacious for some women. Is morning sickness making it impossible for you to enjoy the magic of your pregnancy? Give us a call. We offer an introductory consultation with the Acupuncture Physician to customize your treatment plan. Call 305-772-4386. Acupuncture, Women's Health #acupuncture. permalink.